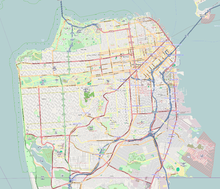 ^ Loewenstein, Louis, K. Streets of San Francisco: The Origins of Street and Place Names. Don't Call It Frisco Press. 1984年. ISBN 978-0938530275. ^ a b Saperstein, Susan. Lombard Street. San Francisco City Guides. 2009年2月. 2017年1月21日閲覧. ^ Darcey, Brown-Martin. "An Honestly Crooked Street". via Magazine. 2001年9-10月. ^ Hyde St & Lombard St. San Francisco Municipal Transportation Agency. 2017年1月21日閲覧.